Do you know that there are many genuine websites that allow you to make money online? And yes, these websites does not ask you to make any investment. It is totally free. So, are you ready to make money without any investment? If yes, read on I am going to share information about 5 websites that allow you to earn money online absolutely free. 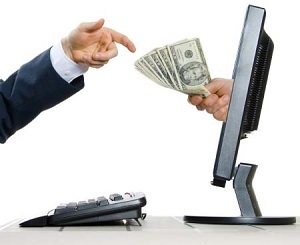 These websites offer online jobs which you can complete and earn money. An income from these sites depends upon a time you spend on these site for completion jobs. I recommend spending maximum time on these sites to make maximum money. So, here is 5 website to earn money online. Upwork is Freelancer website that allows you to work as a freelancer. On this site, you will able to find freelancing jobs in the various area. You will find a number of tasks starting from data entry operation job to legal service. How to earn money using Upwork? You need to register online on Upwork site as a freelancer. Once you sign up at this website you can start working on freelancing projects. You will be paid for the completion of every project. Your earning depends on a number of projects or assignment completed by you. Scripted is a website for the freelance writer. If you are creative and having a good hold on English you can become a freelance writer and earn money online. You can get $25 for the content with 500 words and above. You need to follow the process given below to start earning money from scripted. How to earn money using Scripted? Submit your content for the review. Once your content gets approves you need to start working on the assignment. On completion of every assignment, you will get paid. So, utilize the extra time you have in earning extra money from the internet. Clixsense is GPT website where you can get paid for completion of easy tasks. Task offered by Clixsense are very easy starting from viewing the advertisement, downloading an app, playing games or completing a survey. Anyone can register and start working on clixsense. However, a payout for every task is very low. How to earn money using Clixsense? Register online on Clixsense. Activate your login id. Select the task like viewing an advertisement, completing surveys etc. Once your account balance is reached to $8 you will get paid via PayPal. Fiverr is leading market place to buy and sell service online. Every work offered on Fiverr is called as Gig and it is sold at fixed price $5. If you are willing to work for a small task for the $5 this website is for you. Task offered by fiverr varies from writing, data entry, graphic designing, translation etc. If you work with dedication you can earn approx. $30 per day means 60,000 Rs per month. How to make money using Fiverr? Select task as per suitability. Complete the task and get paid $4 for every task. Elance is one of the oldest freelancer website. Elance also allows you to work as a freelancer. You need to select job or project for freelancing on completion of job you will be paid money. Now, this site is acquired by Upwork. On registering this website, you will be able to select freelancing project work. So, start working from home, choose your own working hours and task and get paid online for doing work. Thanks for reading this article, if you find it useful please share it with others. If you have any query or comments about earning money online please post in comment section given below. I will try to get an answer for you. i read your online earn money article… . Yeah easily you can earn money by online. This is a good way to earn money at part time..